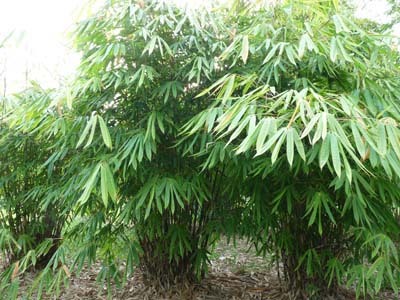 To about 20 feet tall, this lovely bamboo has vibrant green leaves and vertical canes (though the leaves are large enough to canopy a bit). Makes a great privacy screen and/or shorter hedge. It is also one of the best edible shoots for the smaller garden.